You've seen it on the big screen, now you can learn how to be a real Stunt Driver with the Original Stunt Driving School! Straight from the Italian Job - our specially prepared Mini Coopers make your stunt driving day more exciting! Our instructors have film and TV stunts as well as world stunt driving records to their name. You learn from the best! 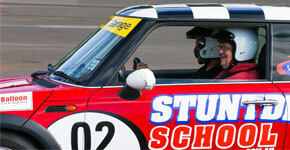 Stunt Driving School experiences are available as vouchers and make a fantastic gift or corporate incentive. You don't need movie experience to be a stunt driver. You just need a driver's licence and be able to drive a manual. Team Building and Corporate Reward Days are our speciality. Contact us today about how we can help you! 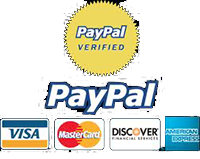 We are the original and best Stunt Driving School. We have been featured on TV shows around the world. Learn with the best! 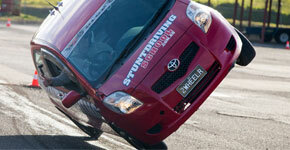 Stunt Driving School Experiences can be purchased as a gift voucher with 6-months to book a date. The perfect gift of excitement! Your day learning to be a Stunt Driver is something you'll remember forever. We'll even give you a certificate and a photo to share with your friends! We've got some more fantastic Driving Events and Training Courses available - have a look at what else you can do behind the wheel! Handbrake Turns - the cornerstone of every great stunt driver! Ramp-to-ramp Jump - you've always wanted to do this! Drive on 2-Wheels - it's harder than it looks! The Original Stunt Driving School operates in Melbourne and is located at Sandown Raceway only 20mins from Melbourne CBD and if you are anywhere else in the world... talk to us as we can help! All locations have plenty of parking and are very easy to get to - especially with our handy guides! For group and corporate bookings we can load up the truck and head out your way. 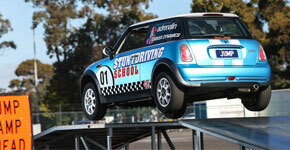 We have run Stunt Driving School events around Australia and the world - everywhere from Shepparton to Singapore!